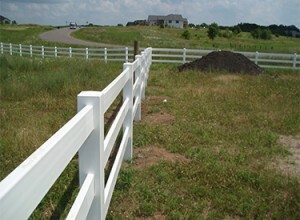 Arrow Fence Co. installs fences in Anoka County, MN. 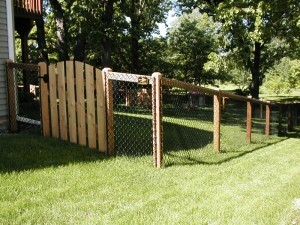 Our local Fence Company specializes in Ornamental, Cedar, Vinyl, Chain Link, Access Control Systems and any variations. We enjoy adding appealing additions that prove functional for all our clients. The personal touch we bring to your experience and property are the makings of 50+ years of Minnesota Fence Installation. From the most affordable option to the most extravagant, our team is ready! Contact us today for a Free Fencing Quote and get more out of your yard this Summer. Check out our A+ BBB Rating! And our 10/10 Rating on Facebook! California Style Fences – A very popular fencing options for those looking to keep their view but add more of a boundary and unique interest. A California Style Fence fuses the natural touch of wood fencing with the openness of chain link, to create an eye-catching addition at an affordable price. View our California Style Fence Gallery. Split Rail Fences – Great for farms and large properties looking to help coral animals, create separation and increase interest. Whatever your personal desire is for a split rail fence, we will install a fence to last years and look great doing it. 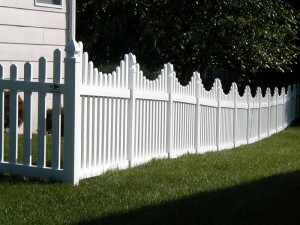 Parameter Fences – Fencing a perimeter will clearly mark property lines and ensure no neighbors inch into your land. While also allowing you and your family to easily stay out of other people’s territories. Deck/Patio/Porch Fences – Arrow Fence replaces and installs deck, patio and porch fences and rails. Creating more security and comfort to all that use the space. Contact us for a quote on residential and commercial fence installation. Decorative Fences – A fantastic way to spice up your yard is with decorative fencing. Our Fence installation team has the skills to customize every aspect of your decorative fence to make it a unique addition designed by you. Privacy Fences – For many, privacy is a must. 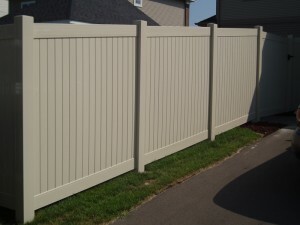 Make your yard more enjoyable with the added seclusion of a privacy fence. The most popular privacy fences are usually wood or vinyl but if you have another idea in mind, Arrow Fence has what it takes to deliver. Fencing a property is a big task, not only does the company selected have to meet the property city code, customer preferences and keep on schedule but it is also important that the fencing products are strong enough to weather any storm Anoka County, MN experiences – for the years to come. Our fencing company provides a variety of highly durable products from only the best companies in the industry. Our 5-year warranty ensures our clients can see their fence standing tall and beautiful season after season, year after year. Call (763)755-0088 During our Business Hours or Email us Anytime. © 2019 Arrow Fence Company. All Rights Reserved.